Why the “Dickgirl Cheerleaders” Series? A quick look through my current catalog tells me two things: one is that I need to find a better format for my catalog, since it’s getting too long for a simple scrolling list, and the other is that I write about dickgirl cheerleaders a lot. But it’s a fair question, especially now that Dickgirl Cheerleaders #7: Fourth Floor Bathroom has rolled out on Amazon, Smashwords, and Barnes & Nobles: Why all the dickgirl cheerleader stuff? And where does it all end? The first one is easy to answer: someone asked me to write it. The first three to four titles, give or take, were a commissioned work that I got stiffed on (and that taught me a thing or two about handling commissions). Since I had the text sitting around anyway, I decided to use it as an experiment with shorter, raunchier works. There are definitely people out there who prefer their erotica in the 2,000-5,000 word “plot, what plot?” range than the short but slightly more storytelling-focused 10,000-20,000 word bracket, or the novel-length 20,000 word and up territory. The “Dickgirl Cheerleader” series was an easy way for me to see if those were consumers worth catering to, and by and large they’ve turned out to be some of my most avid readers. They like the books and I like the sales, so we go on making each other happy! Does that mean it’s all dickgirls, all the time, from here on out? Absolutely not. In a lot of ways, these shorts are a safety net for my longer titles. They give me some short-term sales and a good rankings boost that allows me to take a little longer crafting my non-series novels. There are a lot of titles in the works that will be very different from the “Dickgirl Cheerleaders” books (though no less filthy). And as those longer works start to come out in the next couple weeks here, on through the end of the year, there’ll still be a steady trickle of new DGCL titles for the fans that love ’em. Overall the series will probably run about a dozen titles, and yes, I do have it plotted out all the way from start to finish. 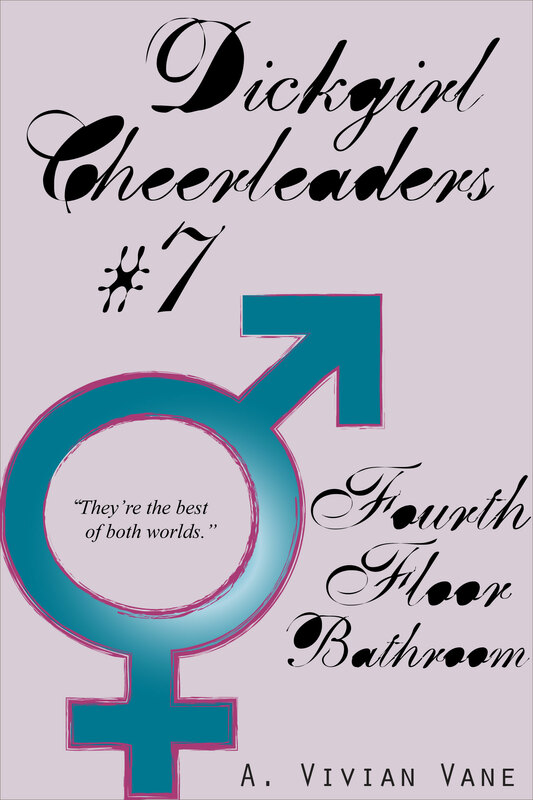 So go ahead and check out Dickgirl Cheerleaders #7: Fourth Floor Bathroom on Amazon, Smashwords, and Barnes & Nobles if you’ve been enjoying the series (or if you’re brand-new to it), and for the fans of my other work, be ready for some more announcements here soon!